Winner: W. Cary Edwards, Esq. This award recognizes individuals who have a longstanding commitment to improving the quality of life and promoting smart growth in New Jersey through sustainable land-use policy and practice. W. Cary Edwards served as chief counsel to Governor Thomas H. Kean from 1982-1985, and as attorney general of New Jersey from 1986-1989. In both capacities, he was a key player in passage and implementation of the State Planning Act of 1985, and has been a powerful, influential and effective voice for smart growth in New Jersey for more than 25 years. Before becoming chief counsel to the Governor, Mr. Edwards served as a local planning board attorney for 12 years, gaining intimate knowledge of the issues surrounding land-use disputes in New Jersey. He also served on the Oakland (Bergen County) Borough Council, including a term as Council President, and was elected to the Legislature in 1977, serving three terms in the General Assembly, where he rose quickly to the rank of assistant minority leader. Because of his experience in private practice, specializing in land use, he was the ranking minority member on the Municipal Government Committee, finalizing amendments to the Municipal Planning Act. It was only natural, then, that Governor Kean, who had been one of the legislative authors of the act establishing the Department of Environmental Protection and had a keen interest in fostering land preservation and urban redevelopment through sound state planning, would turn to his chief counsel for leadership in this cause. Edwards was a key player in passage and implementation of the State Planning Act of 1985, and has been a powerful, influential and effective voice for smart growth in New Jersey for more than 25 years. “I believed that … you couldn’t do top-down planning,” Mr. Edwards recalled at a 2009 symposium, Where Are We Growing: Planning for the Next 20 Years, sponsored by New Jersey Future and Princeton University’s Policy Research Institute on the Region. “It had to be a consensus-building process that brought the entire state into the process.” Throughout the Kean administration’s first term, Chief Counsel Edwards worked with all manner of constituent groups—environmentalists, housing advocates, planners, developers, municipal and county officials—and members of both parties in the Legislature to craft both the State Planning Act and the Fair Housing Act, two landmark pieces of legislation that Governor Kean signed into law. Immediately after leaving state government, Mr. Edwards became a charter member of the board of New Jersey Future, where he has been actively involved in making smart growth a central concept in the state planning process. He fervently believes the same forces that favored the creation of a mechanism for state planning in 1985 still exist today. Currently, Mr. Edwards is “of counsel” to the law firm Waters, McPherson, McNeill, P.C., a Secaucus-based firm specializing in real estate development and environmental law. 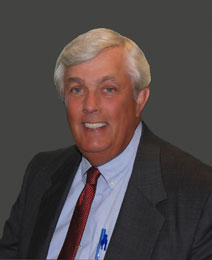 He has served as a commissioner and chairman of the New Jersey State Commission on Investigation since 1997. He is a 38-year legal practitioner with a focus on all levels of governmental matters, complex civil and criminal litigation matters, appellate cases, environmental law and land use and development. He is a life member of the Board of Trustees of Monmouth University, lead director of the Board of Directors of South Jersey Industries (NYSE:SJI) and former chairman of the board of South Jersey Sanitation, Inc. He is a member of the board of New Jersey Future, a visiting associate professor and former adjunct professor at Rutgers University’s Eagleton Institute of Politics and a member of numerous other community and volunteer organizations. Mr. Edwards received his undergraduate and law degrees from Seton Hall University. He is also the recipient of five honorary Doctor of Law degrees and more than 100 private and professional service awards.